When planning your wedding, there are enough details to make anyone’s head spin. Between the venue, save the dates, invitations, cake tastings, it’s nearly impossible to keep everything straight. Unless you hire a wedding planner, it’s likely that you’ll forget a detail or two. 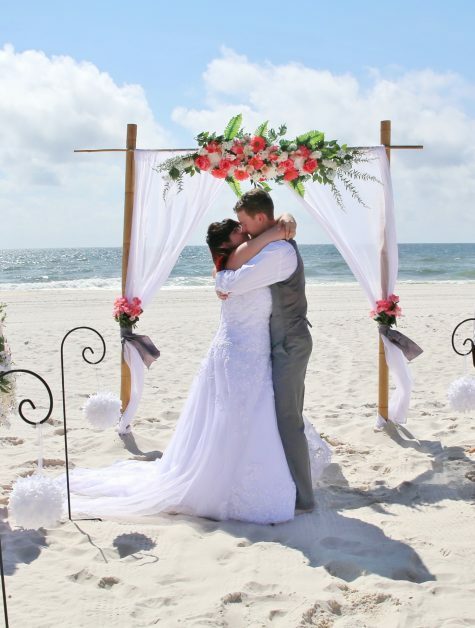 Beach Weddings Alabama is the area’s only all-inclusive wedding planner, and our goal is to help each and every one of our couples plan the wedding they’ve always dreamt of. We have seen a lot of weddings happen in our day, and in this blog, we’ll outline some of the most important, but most easily forgotten wedding planning details. Unless you take care of providing directions and appropriate signage, your guests will be lost. This goes beyond the initial invitation. Unfortunately, it’s not enough to put the address on the invitation, it’s important to provide directions. You don’t want your guests getting lost between the highway exit and the parking lot, and your phone isn’t ringing off the hook on your wedding day with calls from lost guests. One way to provide the most accurate directions for each guest is to provide a link to Google Maps on your wedding website which gives each guest personalized, step by step directions. For the day of, provide appropriate signage outside and inside the venue. 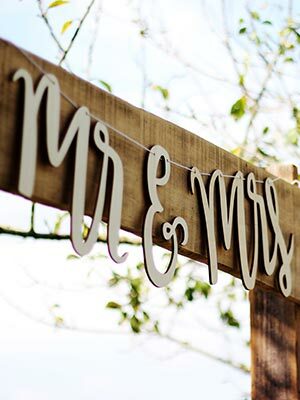 Indicate where guests should go for your wedding ceremony and reception, as well as where they are supposed to sit. In addition, make sure your guests are guided through the course of your day, whether that is through verbal announcements or programs. Contingency plans are crucial, especially if you are getting married outside. It seems like an obvious detail to include, but many couples hold ceremonies outside and forget to include a contingency plan for bad weather. It doesn’t have to be rain, it can be for overly hot and sunny days, or severe cold fronts as well. Any condition where your guests may be uncomfortable is cause for a plan B. Have a realistic expectation of the weather conditions on your big day, and create a plan for the unexpected just in case. As your big day approaches, you’re likely going to be asked by members of your wedding party if they can help. Take advantage of this, and appoint members of your wedding party to be point people for the day of your wedding. When it’s your wedding day, you want it to be as stress-free as possible, which means that you have permission to take advantage of other people willing to help so that you can relax. Select a trusted person in the wedding party to be the first point of contact for the vendors. The trick with a guest book is that you want it to be something that your guests want to sign. Your guests are likely to ignore it or forget about it if it’s not memorable, and when it’s a last-minute detail, it won’t be memorable. There are many different ways to get creative with a guest book that makes it fun for guests. For example, a polaroid camera gets people involved, and helps you remember the day that much more. The bar and dessert table are spots at your wedding that your guests will be visiting frequently throughout the night. This is why it’s a good idea to make sure it is a memorable spot. Add pops of color in the decor, and nice looking signage. Add floral arrangements and greenery for extra simple elegance. If you are including kids, even allowing them to attend your wedding, they are likely to cause disruptions during the ceremony or reception. No matter how much you love children, this isn’t ideal for your special day, and it’s a good idea to create a plan to make sure they’re on their best behavior. Consider including coloring books for the ceremony or sitting them with their parents during mealtime. This helps ensure they are having a good time, and so are you. Believe it or not, engaged couples often forget about their exit from the reception. It is the last note of the wedding, and it’s important that you leave in a memorable way. If you want a classic feel, rose petals are a romantic touch to send you off in style. For a more modern and dynamic and lively exit, consider fireworks or sparklers. Get creative, but at the end of the day, make sure you don’t forget it or you won’t have a ride. Don’t forget the individuals working to make your day the best it can be. Generally, you’re expected to give your final guest count to your caterer within two weeks of the big day, but don’t forget to include the number of vendors you’ll have. That way the caterer doesn’t forget to create meals for them, separate from your guests. At Beach Weddings Alabama, we do it all for you. We are the area’s only all-inclusive wedding venue. When you book with us you get a beautiful beach wedding, the wedding planning team in the area, chefs, cake decorators, wedding photographers, florists, DJs, pastry chefs, pastors, and coordinators who all work together to create the perfect wedding day for you. With us, your guests will be talking about your wedding for years to come. Call us today to get started planning your perfect wedding day.